Music can transport us to a different place and time and has the power to evoke the most tangible of memories from some of the biggest moments in our lives. It can take us away from where we really are to the places we long to be instead. Emanating from a speaker, the feeling can be wonderful, but heard on a quality set of headphones or earbuds, the experience can be truly magical. The SMS Audio line of earbuds and earphones by Curtis Jackson (aka 50 Cent) aims to create such a feeling, but does it succeed? The SMS Audio line includes three different options for listening to your music. First, there’s the Street by 50 Earbuds which are available in black or silver. They come with three sets of tips so you can find a pair that fits comfortably in your ears. There’s also an attractive hard case with a zipper in the same bright blue you’ll find accenting the earbuds themselves. One of my favorite features about the earbuds is the flat cord that is designed to reduce tangling. I didn’t take great care putting these in the case, but every time I took them out they were ready to go without being a tangled mess. The cords have the same bright blue accents as the case so they look great, too. In the event of incoming calls, the music pauses and you talk right through the built-in mic in the volume control and then can easily return to your music. I found the sound quality much better than average, as you’d expect with a price tag of $119.95. They have an 11mm professionally tuned driver that puts out a clear sound with strong bass and a good range of highs and mids. Although not noise-cancelling, they do block out background noise well unless you’re in a truly loud environment where outside noise will intrude. For short-term listening they were very comfortable, but if you listen to music all day, every day, they do feel a bit heavy in your ears in the long-term. If you’re looking for earphones, then SMS Audio has either wired or wireless options. 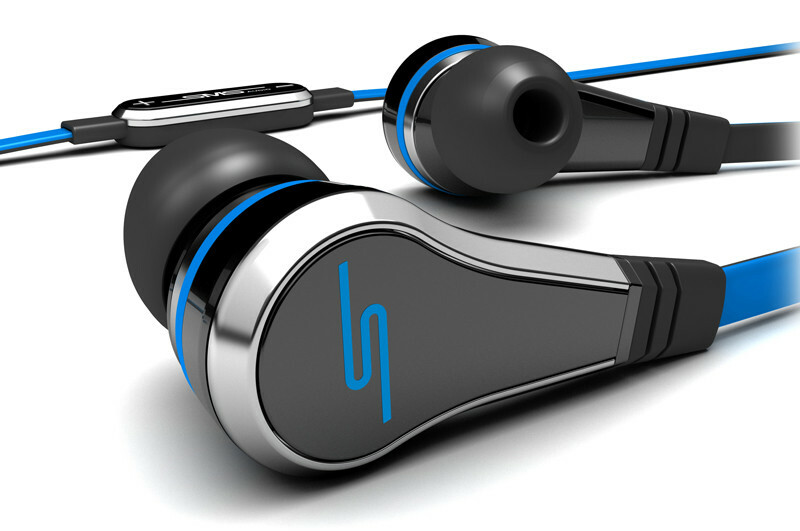 The Street by 50 Over-Ear Wired Headphones come in black or the same attention-getting bright blue of the earbuds. They’re made of lightweight plastic with very comfortable memory foam cushions for your ears. They adjust easily and don’t feel heavy on your head, even after several hours of wear. One drawback is that they don’t fold down for easy transport, but they do come with a nice little drawstring bag to help with that a little. They also don’t feel particularly rugged and made me wonder how well they’d survive a few hard knocks or drops. 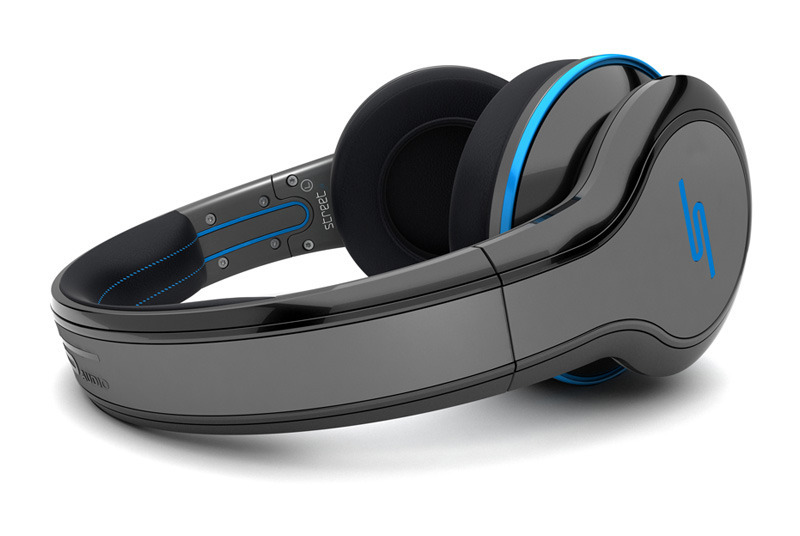 These are not noise-canceling headphones but have “passive noise cancellation” which means the fit is designed to block out as much noise as possible. They do pretty well here, but in a loud environment you’re going to hear those outside noises and I’d think the hum of an airplane would be pretty obtrusive. As with the earbuds, the tangle-free cord is a big plus. This one is round rather than flat-like cord on the earbuds, but it’s thick enough that it doesn’t come out of the bag as a mess of knots. The cord includes a volume control with mic. The sound quality is very good with a 40mm driver providing a rich depth of bass notes complemented by a clarity and range to the mids and highs that is impressive. It can be difficult to provide good bass without drowning out other elements, but the Street earphones manage to do it so well that you’ll hear notes in your music that you’ve completely missed in the past. That said, if your priority is loud, head-thumping bass, then these are not your headphones. This doesn’t mean the sound isn’t exceptional, but that they provide a music experience that pulls out every note of a song rather than focusing on pure, thundering bass. These retail for $249.95 and also include an airplane plug adapter for travel. 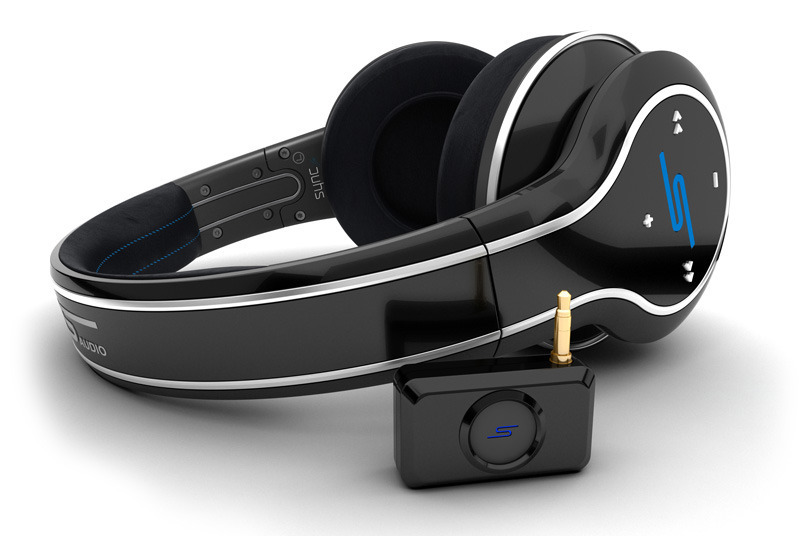 The final option in the SMS Audio by 50 Cent line-up is the Sync by 50 Over-Ear Wireless Headphone. These are a pricey set of headphones at $399.95, so my expectations were very high. I did notice a few drawbacks before I even had a chance to give them a listen. First, they don’t fold up, so although they come in a hard case to protect them while you’re on the go, the case is huge which makes them a poor choice for travelers. Also, like the wired version, they are not noise-canceling. Once I gave them a listen I found that the passive noise cancellation did a good job, but at this price the lack of true noise cancellation is a significant negative. On the plus side, these feel a good bit sturdier than the wired version and I’d feel a lot better about them surviving rough handling. They include a cord with volume controls and mic in case you want to plug them in, a micro USB charging cable, a USB/AC adapter, an airplane plug adapter, and a wireless transmitter. The headphones and transmitter take about 2 and 1.5 hours respectively to charge, and unfortunately need to be plugged in separately rather than being able to charge through a single cable. In the end, what you want in a pair of headphones is good sound, and on that front these deliver. The quality of the sound is very similar to the wired version, with the edition of Bass Boost. This is just a small button on the left earpiece that enhances the bass frequencies giving them a deeper sound that, although improved, is still not the thundering bass that some listeners crave. Volume can also be controlled from earpiece buttons or your device, but features like changing tracks are only available when you make additional purchases for what was already an expensive product. You can get a USB dongle for an additional $80 or a soon-to-be-released 30 pin version for Apple products. So, your snazzy headphones come with buttons that don’t work unless you spend even more. It has a 50′ wireless range that requires line of sight so things like trees or walls can interrupt the signal. I wandered about the house and the yard and really didn’t find a problem with the signal until I was just about out of range anyway. If you’re wondering why they don’t connect by Bluetooth, the answer is Kleer Wireless Technology which provides 16-bit CD quality sound with lossless audio. As mentioned, the sound is good, but I don’t know that it’s good enough to make plugging in transmitters worth the added trouble. 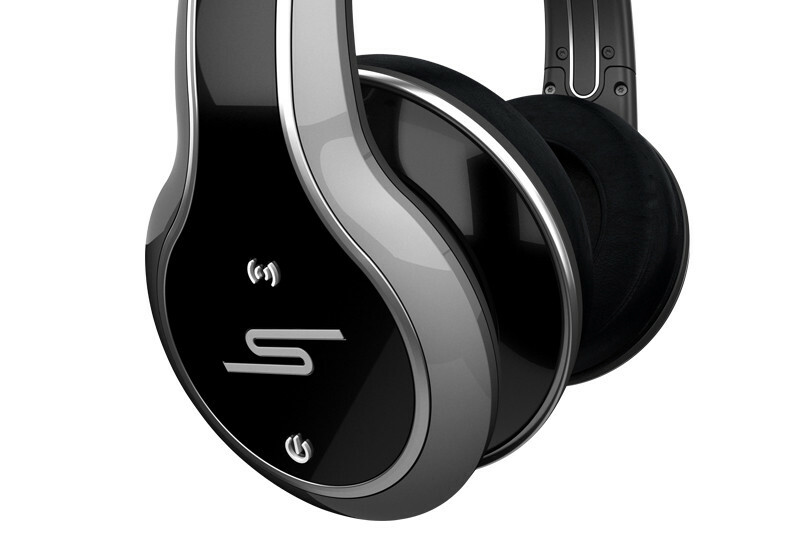 All in all, the SMS Audio by 50 Cent is a good line of products, but with an extremely high price tag. The earbuds and wired headphones were the best choices, and in terms of comfort and design were exceptional and can be easily recommended. The wireless headphones, however, were simply too finicky. With a $400 price tag, no noise-cancellation, and buttons that don’t even work without the purchase of additional components, they feel like they’re a work-in-progress that missed the mark.